June 10, 2016 August 8, 2017 / Julie Brook, Esq. Effective June 9, 2016, the End of Life Option Act (Health & S C §§443-443.22) makes California the fifth state in the nation to allow physicians to prescribe medications to end the lives of their terminally ill patients. As expected, the Act has many requirements built into it to address the concerns of its opponents. Here are the basics: The Act permits any California resident over age 18 who has the capacity to make medical decisions and who has been diagnosed by his or her attending physician with a terminal disease to voluntarily request to receive a prescription for an aid-in-dying drug. “Terminal disease” means an incurable and irreversible disease that will result in death within six months. Health & S C §443.1(q). A total of three requests for the aid-in-dying drug is required. The individual making a request for an aid-in-dying drug must make two oral requests to his or her attending physician at least 15 days apart, and one written request on the statutory form. Health & S C §443.3(a). These requests must be made directly and solely by the individual diagnosed with the terminal disease and not by an agent under a power of attorney, advance health care directive, conservator, or any other person. Health & S C §443.2(c). The attending physician must confirm that it’s an informed decision at least twice. To confirm that an individual is making an informed decision, the attending physician must discuss with the patient his or her medical diagnosis, the risks and probable results involved in ingesting the aid-in-dying drug, the possibility that he or she could choose to obtain the drug and not use it, and the feasible alternatives and options, including palliative care, hospice, and pain control. All of these issues must be verified again by the attending physician immediately before writing the prescription for the aid-in-dying drug. Health & S C §§443.5(a)(2), 443.5(a)(8), 443.10. A referral to a consulting physician is required. Once the attending physician receives the request for an aid-in-dying drug, he or she must refer the individual to a consulting physician. Health & S C §443.5(a). 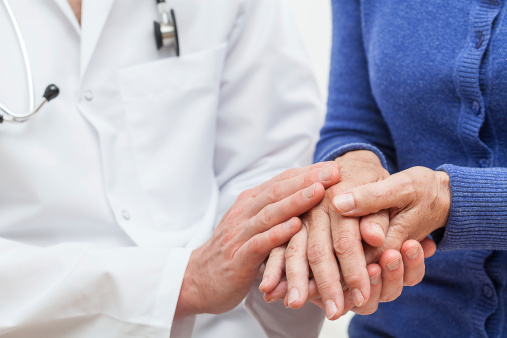 A consulting physician must be independent from the attending physician and can’t be related to the individual or be a beneficiary of the individual’s estate. The consulting physician must examine the individual and relevant medical records, and confirm in writing the terminal diagnosis, that the individual has the capacity to make medical decisions, and he or she is acting voluntarily and making an informed decision. Health & S C §§443.5(a)(3), 443.6. Physicians don’t have to participate. Participation in activities authorized under the Act is voluntary. Physicians who “for reasons of conscience, morality, or ethics” don’t choose to take any action in support of an individual’s decision under the Act don’t have to do so. Health & S C §443.14(e)(1). Physicians can’t be penalized for acting. A health care provider can’t be subject to administrative, civil, or criminal penalties for determining the diagnosis or prognosis of an individual, determining the capacity of the individual, providing information to an individual on the Act, or providing a referral to a physician who participates in activities authorized under the Act. Health & S C §443.14(c). Of course there is much more in the statutes, including documentation and mental health consultant requirements. Get more detail in CEB’s Law Alert. 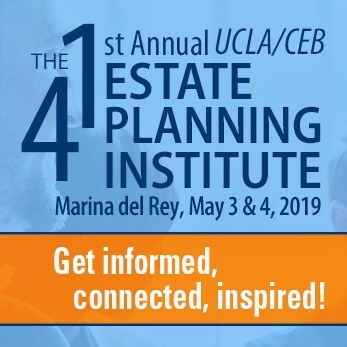 It is also discussed as part of the featured legislation in the December issue of CEB’s Estate Planning and California Probate Reporter and will be covered in detail in the upcoming update of CEB’s California Elder Law Resources, Benefits, and Planning: An Advocate’s Guide, chap 4. Oy…..it’s good to have some protection against overreaching or hasty decisions, but this law has so many onerous, repetitive, redundant, and burdensome requirements that it effectively defeats the purpose of having such a law. Addendum: In a supposedly free society, people oughta be able to be in charge of their own bodies and their own lives.